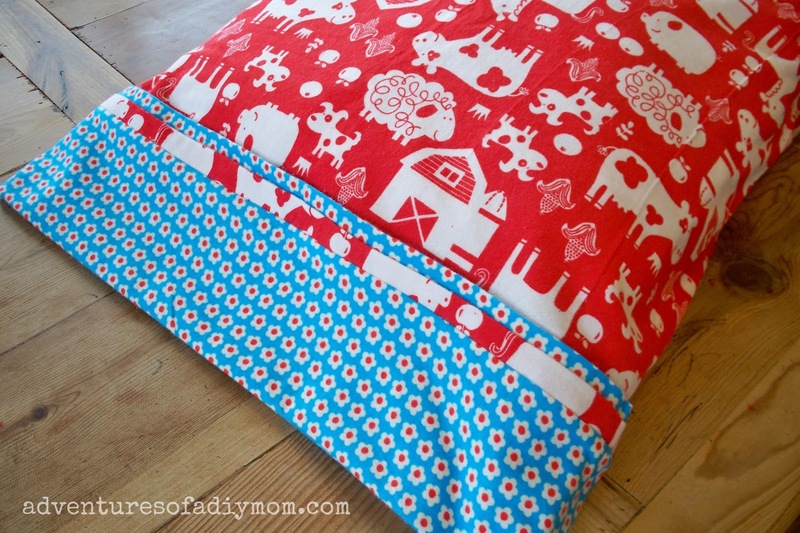 Home » Tutorials » How to Make an Easy Rolled Pillowcase with only 3 Seams! 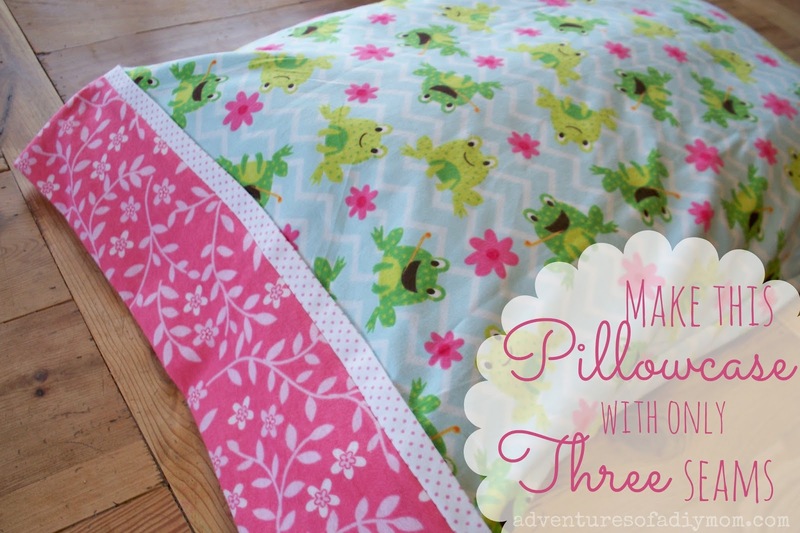 How to Make an Easy Rolled Pillowcase with only 3 Seams! 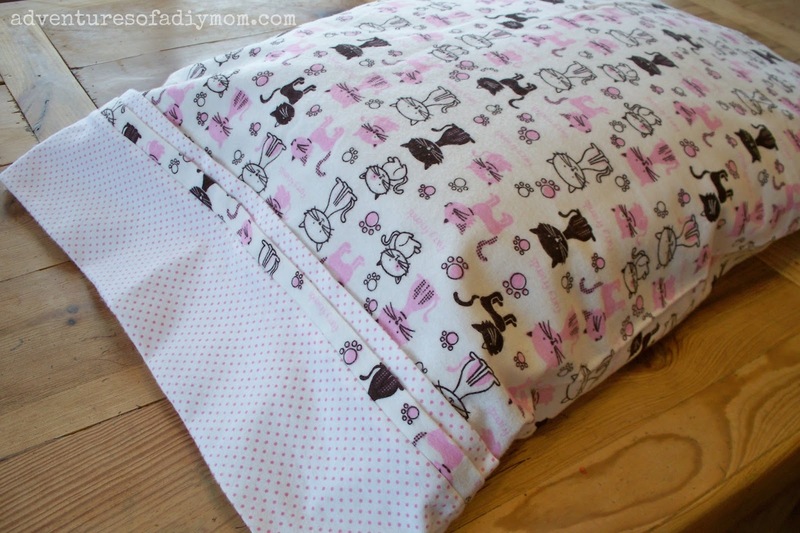 Today I'm showing you how to make the cutest pillowcases with only three seams! That's right three straight seams and you're done. This is perfect for a beginner sewer, but those who see the end result will think you're a pro. They are called rolled pillowcases. You'll see why in a minute. I had to use up some of my flannel stash that I grabbed on Black Friday. So to go with my rice heat bags, I made each of my kids a matching pillowcase for Valentines Day. They are soft and perfect for winter. But you can make these with a cotton fabric as well. 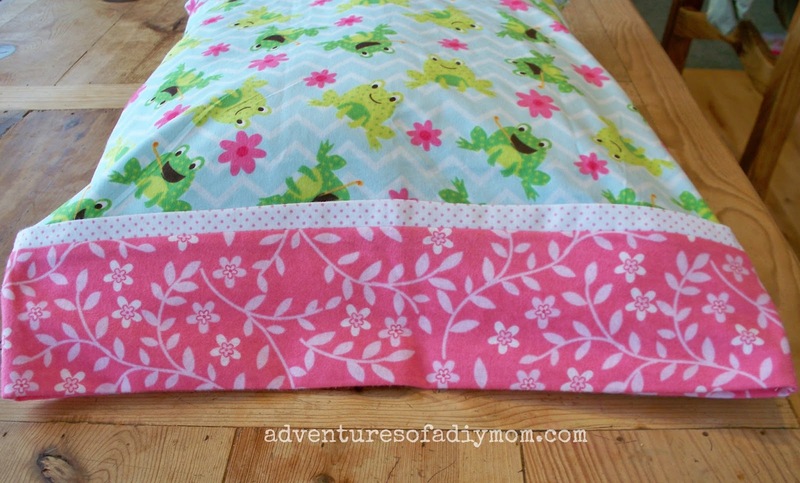 Want to make your own Rolled Pillowcase? You will need 3 pieces of fabric. When the fabric comes off the bolt it is folded. Leave it like this and cut your measurements off of it. Then place your pieces on top of each other while the fabric is still folded. They will most likely not be exactly the same length. So trim off the selvage edge to make them all even. Press your 2" piece in half lengthwise. Lay down your 9" piece face up. On top of it place your 27" piece face up. Then place your 2" folded piece on top with the opening at the top. Make sure you're fabric is lined up straight. Now roll up the 27" piece like shown above. Now fold the bottom piece up over the top. Make sure that all of your pieces are lined up. Pin in place and stitch along the top. This is your first seam. Fold your pillowcase in half, with right sides together. Sew along the side and bottom of the pillowcase. These are your second and third seams. Turn it right side out and you're done! Here's another one I made. I also made another variation. It's just as easy. The only difference is you will start out with 4 pieces of fabric instead of three. 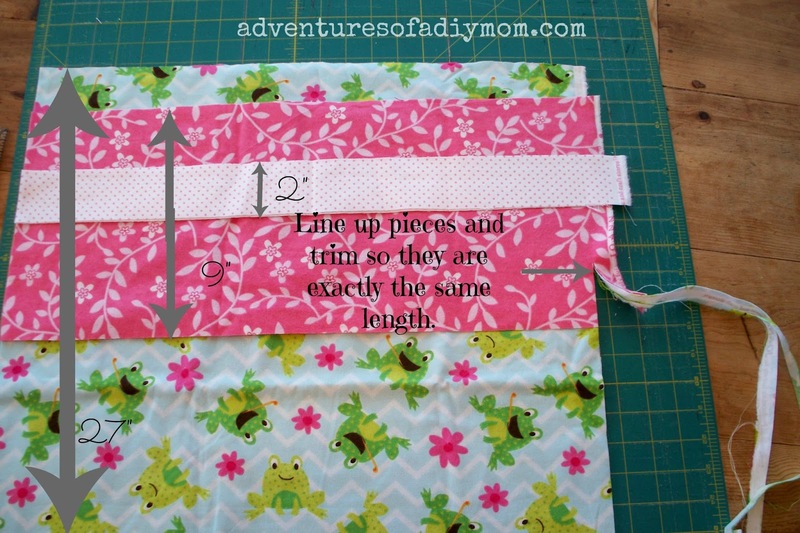 Press your 2" and 3" pieces in half lengthwise. Lay down your 9" piece face up. On top of it place your 27" piece face up. Then place your 3" and then your 2" folded pieces on top with the openings at the top. Continue with pillowcase as instructed above. So there you have it. 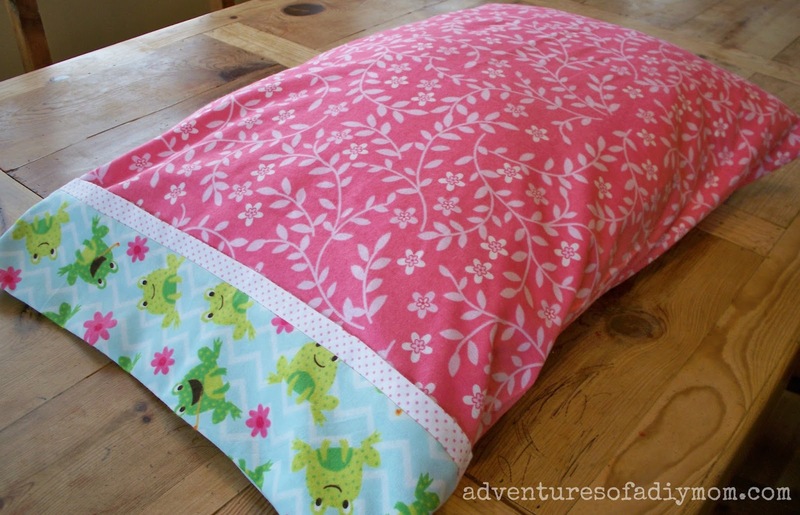 Now go and make yourself or your kids some cute new pillowcases. Thank you for this tutorial. I made some pillowcases last year but this is a much simpler way!! Great job Rachel! Lovely fabrics! Thanks for sharing this tutorial! Very, very cute! I have had the instructions for making these for years but have just never done it. Now I feel inspired! Great technique and tutorial! I'm totally inspired to make some custom pillow cases now. You've been featured on Gingerly Made today.